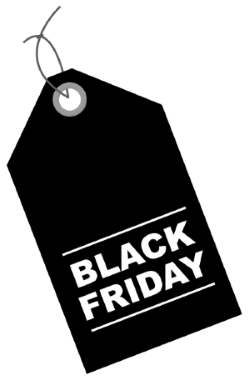 Being Black Friday and all the talks of deals and savings, we wanted to remind you of our own “special” Black Friday deal – our Early Bird Discount. 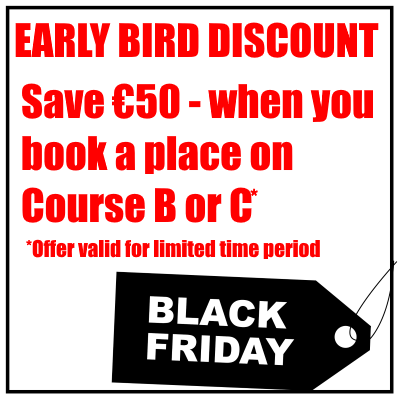 Our Course A is nearly full but we still have places available on Course B & C.
To secure your place, book online and receive €50 off the course price on Course B & C only. Please book early as this offer will be coming to an end soon and we don’t want you to miss out.